The Patriots held the Bills to 12 points and forced three turnovers in Week 16. They face the Jets in the regular season finale Sunday. 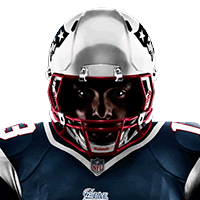 The Patriots enter their Week 16 game against the Bills ranked 13th in the league in scoring defense (22.1 PPG). The Patriots gave up 412 yards during Sunday's 34-33 loss to the Dolphins. The Patriots boast the league's ninth-ranked scoring defense (21.6 PPG) entering Week 14's game against the Dolphins. The Patriots currently boast the league's 22nd-ranked total defense (377.5 YPG). They will take on the Vikings in Week 13. Analysis: The Patriots enjoyed a nice bounce-back win over the Jets last week but some questions regarding the defense still remain. A strong outing against the New York offense isn't an overly persuading sample to believe New England has corrected much of its woes. This week's opponent, Minnesota, features one of the more dynamic offenses in football. Between the combination of Adam Thielen and Stefon Diggs, New England's secondary will surely have their hands full come Sunday. The Patriots rank 24th in the NFL in total defense entering their Week 12 game against the Jets. 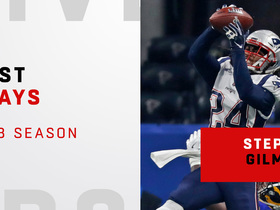 The Patriots own the league's 11th-best scoring defense (22.4 PPG) through the first nine weeks of the 2018 season. They'll take on the Titans in Week 10. 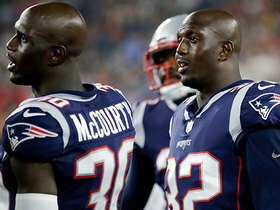 NFL Network's Mike Garafolo reports the latest on the NFL futures of New England Patriots defensive backs Devin and Jason McCourty. 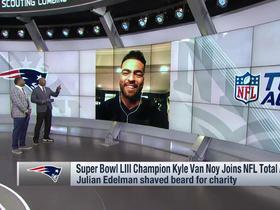 New England Patriots linebacker Kyle Van Noy joins "NFL Total Access" to talk about his team's Super Bowl LIII win, his offseason plans and more. 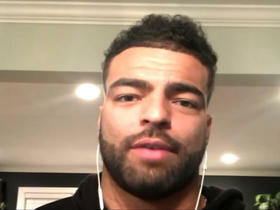 New England Patriots linebacker Kyle Van Noy talks about his conversation at Super Bowl LIII with Gladys Knight. 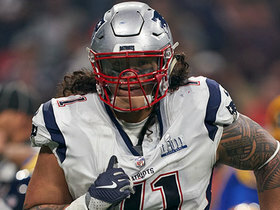 New England Patriots defensive tackle Danny Shelton has won the NFL Way To Play award for Super Bowl LIII for his tackle of Los Angeles Rams running back C.J. Anderson. Watch the 2018 season highlights from New England Patriots cornerback Stephon Gilmore. 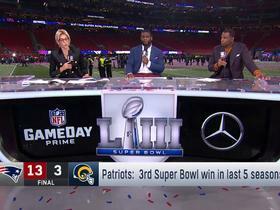 New England Patriots safety Patrick Chung talks about Super Bowl LIII and the determination he kept, even after suffering an arm injury early in the game. 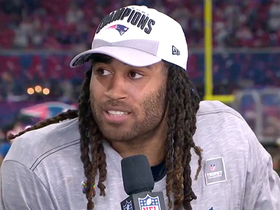 New England Patriots cornerback Stephon Gilmore talks to 'Gameday Prime' after his Super Bowl LIII victory. 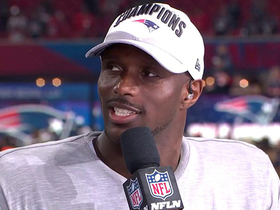 New England Patriots cornerback Jason McCourty discusses what it's been like going from the 0-16 Cleveland Browns in 2017 to the Super Bowl champion New England Patriots in 2018. 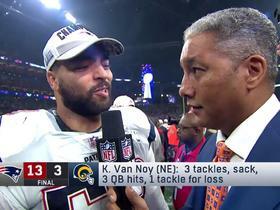 NFL Network's Steve Wyche catches up with New England Patriots linebacker Kyle Van Noy after his team's dominant Super Bowl LIII win. 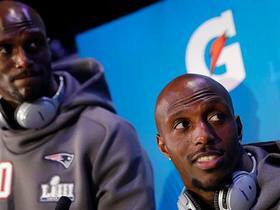 NFL Network Insider Ian Rapoport has the latest on futures of New England Patriots defensive backs Jason and Devin McCourty.